This spring, silent auction basket ideas start with a garden. Check your calendar. A nice silent auction basket idea will soon blossom. 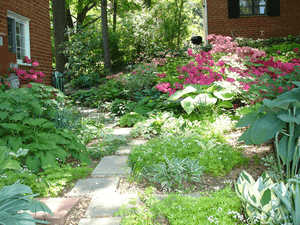 Very soon … starting in May here in Washington, D.C. … most garden clubs will begin their annual tours. Sometimes these tours are free, but often there is a charge associated with them. 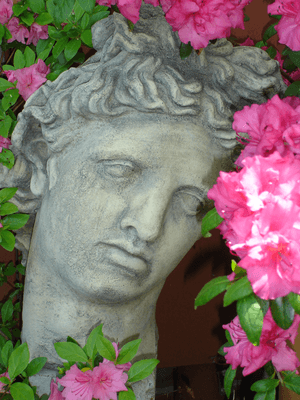 The prestige of the garden club will dictate whether you are paying $5 or $40 to tour a home owner’s private garden space. Established groups like the Georgetown Garden Club will sell tickets at a higher price point than smaller clubs. I don’t often see tickets to a garden tour on the silent auction table, which is a shame. Tickets, plants, seeds, and related paraphernalia often seen or offered (for free, sometimes!) on these tours would be nice silent auction basket ideas. Maybe they aren’t solicited because these tours have such a short lifespan. The tours come-and-go before procurement teams have a chance to think about making a phone call. Spring isn’t a long season, and most of the tours take place on one day in the first two weekends of May. With such a short window of opportunity, acquisition teams simply don’t have time to discuss the activity or call the local garden club to ask for a donation. Depending on the tour’s value, the tickets could be a standalone item, or they could be combined with a gardening basket. None of those items are all that expensive, but with the greenery and live plants, the basket would be bursting with life, visibly attractive and look more expensive than it really is. My garden has been on our local Garden Club’s tour on two different years. Getting it ready for show is always a LOT of work. I should warn you: garden clubs can be a little tricky to track down. Many are informal groups without a Website. In other cases, they have a free Website often hosted / funded through a grant, but when the grant ends, the club’s website disappears. From there, you might find a state or region-specific website, such as the Wisconsin Federation Garden Club or the Florida Garden Club Federation. As many Clubs are more informal, checking your local community listing in a small-town paper might be your best option. My guess is that few Garden Clubs are ever asked for a donation. Because of this, I think your odds of procuring will be high. getting a commitment from the person you eventually reach. My experience is that the clubs tend to make group decisions, so your request for two tickets might have to wait until the next club meeting. Make your first call today.